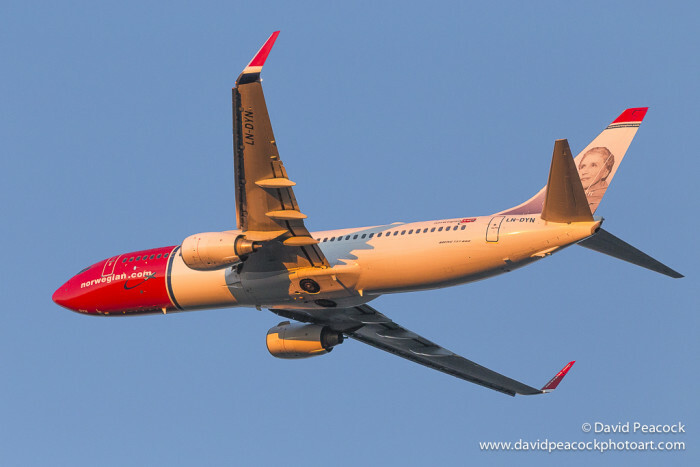 Norwegian’s traffic figures for March are strongly affected by the strike among the company’s Scandinavian pilots. Calculations show that the strike amounted to a loss of 350 MNOK in additional costs and loss of revenue. For the first time ever, Norwegian has had a decline in number of passengers compared with the same month the previous year. The decline is mainly in Scandinavia and due to the cancellation of almost 2,000 flights. The strike, initiated by labour union Parat and the Scandinavian pilot union, has affected the company’s revenues this month. Cancelled flights amounted to a loss of 120 MNOK, while additional costs related to taking care of affected passengers were 110 MNOK. This includes purchasing tickets with other airlines, as well as food and accommodation for stranded passengers. The loss of income through loss of bookings ahead is estimated to be 120 MNOK. All in all, the strike cost Norwegian around 350 MNOK. In March, 1,726,180 passengers flew with Norwegian. This is a decline of four percent compared to March 2014. However, the flights that weren’t affected by the strike had a higher load factor than the same month last year. The load factor this year was 84.2 percent and contributed to a positive traffic growth (RPK) of seven percent. The total capacity (ASK) fell by one percent. The traffic figures for March have been boosted by the Easter traffic (Easter was in April last year). Negative effects from the pilot strike and non existent Easter traffic are also expected in April’s traffic figures this year. But bookings have gradually picked up again, due to several sales campaigns after the strike. However, solid booking figures during spring will not be able to compensate for loss of income during the strike. “The strike among the Scandinavian pilots affected our company considerably and amounted to huge additional costs. Fortunately, we continue to attract many new customers in Europe and America, which offsets the fact that customers in Scandinavia were forced to fly with our competitors for a period of time. Had we not had such a large customer base outside of Scandinavia and so many hardworking employees, the situation would have been even more difficult,” said CEO Bjørn Kjos.